Twenty years ago, in March 1992, NSF (National Salvation Front) split into two factions: the DNSF (Democratic National Salvation Front) – led by Ion Iliescu – which later became PSDR (Party of Social Democracy in Romania) and then SDP (Social Democratic Party), and DP (Democratic Party), the subsequent name taken by the NSF faction led by Petre Roman. The impeachment of president Băsescu by the Romanian Parliament represents the culmination of that original split and, at the same time, the exhaustion of its effects after two decades. The pretext for NSF’s break up was Petre Roman’s motion, aptly entitled The Future Today, through which he tried to seize power inside the NSF and at the same time impose his own vision, according to which the communist legacy was nothing but a heap of scrap, the only solution being the immediate privatization and liberalization. Those close to Ion Iliescu, like Adrian Năstase, believed that this programme was too radical and too hastily drawn. However, the tension between the two groups was constitutive to the NSF ever since its emergence in the tumultuous events of December 1989. NSF was an expression of the alliance between members of the second echalon of the communist nomenklatura or various marginalized apparatchiks (like Ion Iliescu or Silviu Brucan) and representatives of the technical (Petre Roman) and humanist intelligentsia (Mircea Dinescu, Doina Cornea, Ana Blandiana). This political alliance was the force that overthrew Ceauşescu along with the entire echelon within the Communist Party that supported him. Nonetheless, the success of this alliance wouldn’t have been possible without the mobilization of the workers in the midst of the events, a social force that was at odds with the communist state but was still dependent on it. This mobilization took place mostly at the level of factory managers, who had very close ties and were also intertwined in various types of informal networks with local party secretaries. This sort of alliance gave the Romanian Revolution of 1989 its distinctive character. Although it was directed against the Communist Party, this revolution wouldn’t have been possible without the approval of its members, especially at a local level. Also, although in the beginning it had a popular character and generated a real sense of enthusiasm, the revolution wasn’t a result of a genuinely popular movement, emanating from the society towards the Party and the State. Before 1989, both the intelligentsia (technical and humanistic) and the lower and local ranks of the RCP were united in their belief that life would be much better if RCP’s monopole over the political and economic power was suspended, particularly in the context of 1980s Ceuasescu’s Romania. The former were frustrated because they could not capitalize on their education in the communist state, being politically subordinated to party rulers that were a lot less qualified than them. Moreover, their education couldn’t guarantee them the same lifestyle as that of their counterparts living in the Western capitalist world, because the communist state was determined to keep workers relatively well paid, since it based its legitimacy on them. Furthermore, in the West, as a consequence of the neoliberal revolution, the image of the technocrat, of the apolitical expert, became essential. As a ship captain and economic representative, Băsescu was one of the few – like other intellectuals that had access to scholarships to Germany or France – that could become aware of the double subordination (political and economic) of the technical intelligentsia within the communist system and become seduced by the technocrat’s position within neoliberal capitalism. For this segment, communism had lost all its ideological meaning and therefore, we must believe Băsescu when he says that he joined the Communist Party only to advance his career. So did many others. For them, the only viable solution was the rapid dismantling of the communist state and its political barriers, and the opening toward Western capitalism, since they were in a better position than anyone else to manage and take advantage of this opening in the context of the Eastern bloc. However, the Romanian intelligentsia wasn’t able to get politically mobilized and never succeeded in giving its interests an expression of class solidarity, preferring instead to withdraw into an area of private cultural consumption at Păltiniş (the humanists) or Vama Veche (populated with engineers nurturing cultural aspirations). Instead of a concentrated political action against the Party, the local tehnocracy opted for a tactic of informal capital accumulation against the party nomenklature, financial, when possible (like Băsescu did on his voyages), but mostly cultural and symbolic. This lack of political cohesion of the intelligentsia explains why Romania didn’t have a Havel (and not the inane idea about the high level of repression during the Ceauşescu regime, a figment purported by the intelligentsia itself in order to justify its inability to act politically before 1989), but most of all, it explains its dependence on certain “enlightened” and reformist factions (like Ion Iliescu) within the nomenklature itself in order to achieve political clout. In turn, before 1989, the lower and local ranks of the Communist Party were prevented from fully exploiting their strategic position within the communist economic process, in the same way that the absence of market relations prevented the complete fruition of the excess capital and goods obtained through formal and informal exchanges, particularly during the austerity regime established by Ceaușescu at the behest of the IMF after the debt crisis of 1981. At the same time, their mobility was limited even within the party itself, the lower ranks being practically confined to inferior positions as a result of the power being confiscated at the top by Ceaușescu’s family and its acolytes. They never attained that degree of political unity that could exert enough pressure on Ceaușescu’s party leadership and determine his replacement with a more reform oriented leader, as it happened in the USSR, with the rise of Gorbachev. Instead, they chose to continue the process of accumulation and weaken the party and the state from within for their own benefit. But even if the interests of the intelligentsia and the lower ranks of the nomenklature coincided in the short term, as a drive against Ceaușescu’s regime, once the common goal was achieved, they revealed themselves to be manifestly and inevitably antagonistic. As such, instead of the political struggle between the intelligentsia and the nomenklature taking place within the communist state and against it (in other words, the confrontation between Băsescu, the young ship captain open towards the West and the young aparatchick Năstase, eager for political power and the means for its economical manifestation), the obsession with Ceaușescu that supplanted the political mobilization of the two camps within the Communist Party postponed this conflict untill the postcommunist era. After 1989, Petre Roman and his group, the political representatives of the intelligentsia, demanded a neoliberal programme that could rapidly restructure the state and open it towards the Western markets. Under the pretext of the nation’s Westernization and its admittance into the European family was an attempt to articulate a political programme through which the intelligentsia was hoping to get rid of the nomenklature by virtue of its superior education and its symbolic and cultural capital. Therefore, to this day, terms like “civilization”, the “West”, “Europe”, etc. have remained an important reference for them in the fight against RCP’s descendants. By contrast, the ex-nomenklatura had every interest to resist the implementation of a neoliberal programme immediately after 1989, because it would have prevented its rearticulation as a local post-communist capitalist class and would have transferred a serious portion of the ex-communist state’s capital into the hands of the transnational bourgeoisie through the agency of the intelligentsia that held offices within the state after 1989, as it happened in the Czech Republic, Poland and, to a lesser extent, in Hungary, and as it would have happened also in Romania, if Roman’s government wouldn’t have been ousted by the miners’ strike 1991. The selling of the fleet as scrap metal to a Norwegian company, for which Băsescu was prosecuted later, is the perfect expression of this mechanism. Therefore, the intelligentsia lost the opportunity to institute its political and class project not least because of its utter lack of political experience as compared to the ex communist nomenklature. Hence, more than the 1989 revolution, the 1992 break up of the NSF inaugurated and shaped the future political life of postcommunist Romania. That was the actual moment when the Communist Party split into two distinct and antagonistic factions, highlighting once again the class character of Romanian society during communism. Thus, the post-communist period up until 1996 represented the moment of consolidation of a local capitalist class, gathered around Iliescu’s faction that broke away from the NSF. This capitalist class gained political representation in the state both because of Iliescu’s prominent figure, but mostly because it acted paternalistically during its consolidation process, dismantling the ex communist working class gradually and less brutally and leaving the structure of the communist state almost intact. So, this block gained not only the favour of the state bureaucracy (from the armed forces to magistrates, doctors and high-school teachers, for which 1989 was just a bizarre moment on television, not a gigantic rift), but also that of certain elements within the intelligentsia whose livelihood depended upon their collaboration with the state (Ceauşescu’s well-known intellectuals, but also university professors, artists, technicians). The intelligentsia’s radical programme and its lack of even the most elementary political knowledge pushed it to the opposition, but it also garnered the sympathy of the anti-communist intellectuals, the former political prisoners, the small entrepreneurs and of the liberal professions (like notaries public and lawyers), and also that of the vast majority of communist and post-communist youth that saw the old communists now in power as a hurdle on their path towards the civilized West. In 1996, by emphasizing property – a typical middle-class aspiration – the intelligentsia also succeeded in earning the votes of a segment of the peasantry that was hoping to find an immediate solution to the restitution of land and its problems. The intelligentsia was finally in power! 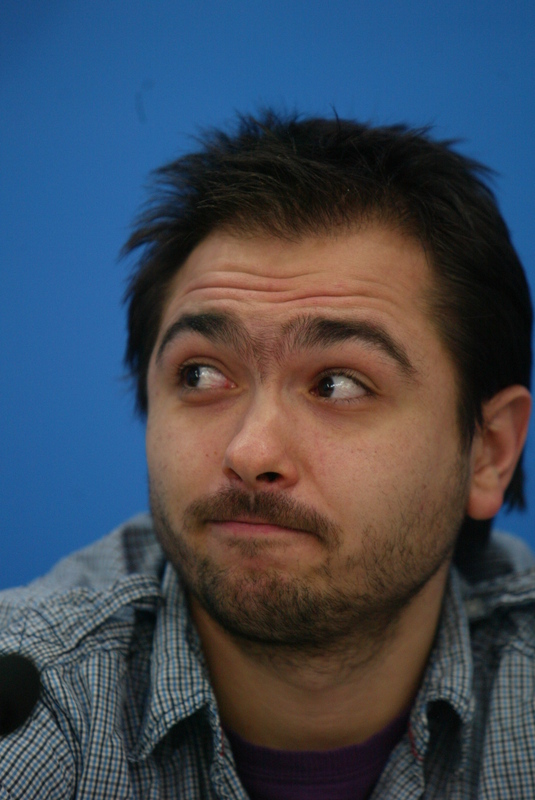 But the hard neoliberal measures adopted by de RDC (Romanian Democratic Convention) and the obvious lack of professionals capable of ensuring the day-to-day functioning of the state bureaucracy (the 15.000 specialists that were lacking) led to the complete failure of this administration, epitomized in Emil Constantinescu’s decision not to run for a second mandate feeling defeated by the ex-Securitate. But it was not the Securitate that defeated Constantinescu and the RDC, it was the state bureaucracy, which had similar economic and political interests with the local capitalists and could benefit directly from the latter’s process of capital accumulation. The return to power of the local owners of capital took place in the year 2000. Having consolidated their economic positions, the local capitalists aspired now to gain access to the global market and benefit from the opportunities created by the country’s integration into the EU’s economic space, in full expansion towards the East. This was the historic role of Adrian Năstase’s term in office: reconnecting local capitalism to the global networks of accumulation for the first time since the 1970s and, at the same time, exonerating indigenous capitalists from the stigma of communism. Although Romanian capitalists weren’t powerful enough to directly compete with foreign capital (as opposed to the Russian and Ukrainian oligarchs) their position was strong enough to allow them to act as intermediaries for the penetration of Western corporate capital in Romania (see for example the huge profits made by Copos with the arrival of Vodafone on the Romanian market), consolidating their wealth and influence. Adrian Năstase was considered corrupt precisely because he used his office to directly facilitate this mediation role of the local capital. Foreign investments and investors – the long awaited golden dream of the intelligentsia, their final hope against local capital holders – were now pouring into the country, being received with open arms by none others than the dreaded domestic capitalists. Adrian Năstase’s aristocratic, pompous and inexpugnable figure, in complete contrast to the plebeian profile of Traian Băsescu, with his eternal sweaters and constant visits to the Public Prosecutor’s Office, perfectly illustrated this state of affairs. A decade after the 1992 break-up it seemed that the ex-nomenklatura turned capitalist has won on all accounts: economically, politically and internationally. In the meantime, the intelligentsia acted as it always did: outside of politics, either through withdrawal and emigration, or through status accumulation. Between 2000 and 2004, against a backdrop totally dominated by the Năstase regime, an unprecedented expansion of the NGO sector takes place, concurrently with a revival of Vama Veche resort, the leisure and status accumulation venue of the politically irrelevant intelligentsia. However, in order to make this mediation between global and local capital possible, Năstase’s administration was forced to implement a series of neoliberal economical adjustments and alter the structure of the state with a view to the country’s future accession to NATO and the EU. Naturally this didn’t pose any ideological problem since even before 1989 the members of the Communist Party and future local capitalists (like their transpartisan economists Mugur Isărescu and Theodor Stolojan) were convinced of the supremacy of capitalism, particularly in its neoliberal version. Yet, by implementing neoliberal measures, Năstase’s governance increased the economic power of the middle-class, hence, of the intelligentsia, intensifying its pressure for change and, in the process, ruined its own electorate through privatizations, an electorate made up of ex workers, whose lives worsened, forcing them to migrate overseas in search of jobs. Thus, the workers’ economic interests ceased to be related to those of the local capitalists, which started to be perceived as the ones who stole their jobs and their factories and who, via their control over the financial institutions, were now stealing their work through taxation. In 2004, amidst all these changes, Traian Băsescu seized power in extremis, with an even harsher neoliberal programme than that of Năstase, relying mainly on a flat income tax of 16%, after which he succeeds in uniting the different factions of the intelligentsia and small entrepreneurs, especially those clustered around NLP (National Liberal Party) in a single unified block. Once again, the intelligentsia had the political representation it needed against the local capitalist class, which it deafeated in the electoral combat through the political mobilization generated by the overlapping of two distinct moral discourses: the anti-corruption one and the anti-communist one (essentially complementary). In effect, the presidential election of 2004 was nothing but a re-enactment of the conflict that led to the break-up of the NSF in 1992 (Năstase and Băsescu acting as direct descendants of Iliescu and Roman), with one major difference: the working class that contributed to Iliescu’s political victory over Roman in 1992 was now a distant memory. Therefore, for the local capitalists, their economic success ultimately led to their political defeat in 2004 at the hands of the intelligentsia, who’s numbers were now greater, who was more stable economically and had no reason to be loathed by the workers. And who was all too eager for revenge. The historical significance of Traian Băsescu’s two terms in office resides in the fact that he tried to usurp not only the local capitalists’ power (especially the privileged relationship that they had with the state in the process of capital accumulation), but also that of the high ranking bureaucrats, as the only viable solution to keep the political power in the hands of the intelligentsia. As an ex-member of DP and a participant in the RDC debacle, Băsescu understood all too well that the main threat to the continued existence of the communist intelligentsia’s political power, refashioned as the entrepreneurial class or the corporate middle class, was the connection between the state and local capital. Consequently, Băsescu adopted a massive neoliberal programme that would restrict the role of the state, meanwhile granting unlimited access to global capital inflows. The escalation of the anti-corruption and anti-communist rhetoric (The Final Report, all the different institutes for the investigation of communist crimes and memory, etc.) was nothing else but the ideological and populist codification of this struggle to preserve and consolidate his own power. But its effects were completely disastrous: the neoliberal measures ruined the state, particularly in its most vulnerable sectors, like health, education and welfare, and the unrestricted access granted to foreign capital (coupled with an ideological option for the American conservatism and its interests) brought the country to a peripheral position, valued only for its human and material resources, to be exploited at the lowest possible cost. Moreover, the marginalization of local capitalists from political representation paved the way for the creation and consolidation of a presidential clique, of which Elena Udrea was the most notorious figure, capable of developing transpartisan relations with different local capitalists in order to further their capital accumulation and, in the process, leading to the alienation of its own party and a certain segment of its 2004 electorate. Yet, until the 2009 crisis, the regime led by Băsescu, but established by Năstase, succeeded in fulfilling the promises made to its electorate, presiding over a sustained economic growth. In the absence of any redistributive intention on the part of the state and with the flat tax still in effect, the middle class managed to accumulate more capital but, at the same time, it increased the level of inequality (the Gini coefficient for Romania has been constantly rising since 1981) and accelerated the constant pauperization of the working class, particularly in rural and ex-industrialised urban areas. However, by 2009, when the economic growth index went from 7% to -7%, things were starting to crumble. There’s a major irony here: the thing that overthrew Băsescu’s plans and almost cost him his reelection was the fact that the crisis started right at the heart of global capitalism, his trusted ally in his fight against the local capitalists. Yet, the response to the crisis was formulated in the same neoliberal and conservative vein, this time dictated by the IMF, the international organism from which we borrowed money in order to save the foreign banks from bankruptcy. Naturally, the crisis was perceived by the Băsescu regime as an opportunity to accelerate the “reform” of the state, invoking the financial crisis and the austerity doctrine as reasons for the budget cuts and the restructuring of the administration. As in every other case, these measures had no effect whatsoever; on the contrary, since the crisis in Europe was protracting, its repercussions worsened to such an extent that Băsescu’s electoral base – the middle-class intelligentsia – was also badly affected. The protests that took place in January 2012, which were triggered by the conflict between the president and a well-known technocrat were actually a defense mechanism of the middle-class, whose lifestyle and interests were in jeopardy. Although they were directed against Traian Băsescu and the budgetary cuts operated by his administration, the protests basically conveyed a technocratic, even a neoliberal aspiration, not an anti-systemic one. As such, the protests were the expression of a certain nostalgia for the post 2004 era, when the middle-class intelligentsia felt economically safe and politically represented. In the other camp, after Adrian Năstase lost the elections, SDP went into a crisis from which it seems not to have recovered yet. The balance between local capitalists (whose political interests it has historically represented) and the party, which both Ion Iliescu and Adrian Năstase struggled to maintain in favour of the latter, was clearly offset by Mircea Geoană’s leadership. It was during this time that the core of the party fell under the influence of the so-called “oligarchs”, like Vântu, Voiculescu and Patriciu, and the local echelons became subordinated to regional “barons” like Oprişan or Mazăre who, after having secured their local political survival, had absolutely no interest to participate in the battles fought at the central level, especially against Băsescu, who pulled all the strings in the justice system. And thus, a paradox was born: although Băsescu’s governance was dominated by an anti-oligarch rhetoric, it was also the time that saw the “refeudalization” of the country, entire areas being now at the discretion of a single person or clan that combined economical and political power. The reason for this transformation is to be found in the same neoliberal effects of the state’s dismantlement that Băsescu had promoted so arduously which, through descentralization, shifted the political and economical centre of gravity from the central to the local and regional levels. Băsescu’s neoliberalism had the same results as Ceauşescu’s politics inside the RCP and was adopted, at least in part, for the same power grabbing reasons: by transferring the power to the local level, Băsescu succeeded in weakening the power of his main adversaries, the central parties and their leaders, but also that of the parties themselves. Those parties became dependent on their members (and not the other way around, as it was ironically proven by the defection of Frunzăverde and some of his acolytes to NLP), a fact amplified by the introduction of the uninominal voting system, which simplified the recruitment of MP’s from other parties in order to form a majority (see the creation of NUFR). Returning to the topic of the SDP, after Geoană lost the elections as a result of the party’s excessive subordination to local capitalists, his nomination at the head of the organization was the clear sign of its crisis, and by no means its revival. Ponta was the compromise solution whereby the different local and regional party factions could impose their own interests and people, fact proven by the absurd nominations that he made at the beginning of his term as PM. In the relationship between the party and the moguls, Ponta doesn’t appear to be subordinated only to the latter, but also to their underlings, as suggested by his relationship with the tv-hosts at Antena 3. Nonetheless, on the 6th of July, benefiting from a parliamentary majority created not as a result of elections, but as a result of the recruitment system patented by Băsescu’s regime, the SDP, in its present coalition with NLP – SLU – and being also motivated by the result of the local elections in June, succeeded in suspending Traian Băsescu for a second time. Therefore, by an act of poetic justice worthy of a Hollywood movie, Adrian Năstase and Traian Băsescu left the political scene almost at the same time: Năstase, by his incarceration for acts of corruption (a symbol of the ultimate triumph of the intelligentsia over the ex-nomenklatura), and Băsescu, stripped of the political power that, as any other representative of the intelligentsia, he worked so hard to acquire and keep. Their exit from the political scene represents the symbolic ending of the struggle for power between the two camps that emerged from NSF’s split in 1992, but also that between the two dominant classes of the communist regime. But there is no reason to rejoice in this double annihilation: it happened within the circle of power and the society at large had no say in it. In addition, the landscape resulting from this confrontation looks particularly bleak: the state is completely disfunctional and hyper-militarized, generating colossal inequalities whose sole quality seems to be to facilitate the global accumulation of capital through the cheap and unhindered exploitation of human and natural resources, the Parliament is nothing else but an appendix of the executive (whichever color it may be) and seems to have lost all its credibility, the party system gave up any ideological pretense, subordinating itself to all sorts of personal and group interests and not being able to offer any representative function whatsoever, the local economy is dependent on imports of raw materials, credit and consumption, being exposed to all global crises, the workforce is poorer, more flexible and redundant than ever, and the society in general is becoming increasingly polarized, hierarchical, conservatory and violent. At the same time, the entire constitutional mechanism that led to Băsescu’s suspension proved that, far from being a coup, we’re facing a systemic crisis of the state and of the post-communist society at large. Ultimately, the entire institutional frame is a result of the historic struggle for power between the nomenklature and the intelligentsia, in their succession at the helm of the state, not that of a compromise or a broad view of society. Although partially revised afterwards, today’s Constitution was written at the height of the battle between Iliescu and Roman that prefaced the secession of the two camps. Therefore all the ambiguities regarding the role of the president and of the prime minister and their relationship with the houses of Parliament spring from there These ambiguities constantly generate the temptation to use emergency ordinances as well as a need to resort to the mediation of the Constitutional Court – one of the most politicised institutions of the post-communist era, one that invariably ruled in favor of those in power and whose influence comes from the fact that the Constitution is always in need of a surplus of political interpretation in order to be intelligible. In this struggle in which the main stake has always been the power to change the rules of the game, political parties continue to operate by the model of the party-state: not only because, after the elections, the party bureaucracy becomes the state bureaucracy, but mostly because private class interests are replacing universal state interests. In this way the state becomes captive: because it always embodies the private interests of accumulation of those that control it, which makes the thrust to grab its power a game with extremely high stakes. This system is, therefore, in a profound legitimacy crisis, being regarded with hostility and cynicism by a major part of the population. It cannot function unless its rules are bent and stretched, as was the case with the changes needed for the suspension. Unlike in the previous years however, none of the parties is capable anymore of adequately representing the interests of its voters. Nothing remains of the very real and profound social antagonism of 1992 but the sterility of a blind struggle for power fought in a closed circle. Just as before 1989, the formal political structure became completely inadequate to and cut-off from the political, economical and social relations of the greater society. Traian Băsescu and the DLP seem to have understood these changes the best, launching a series of astro-turf movements (inspired by the American Tea Party) and guinea-pig candidates like MRU, hoping to capture the right-wing and conservative-orthodox energies that are no longer represented in DLP, but also a certain populist anti-systemic predisposition, like the one that inspires the main support for DDPP. At the same time, this political restructuring of the right highlights the changes that the post-communist intelligentsia went through in the post 1989 global context, today the camp being characterized by an alliance between corporate proletarians with a middle-class ideology and aspirations, small entrepreneurs with liberal professions (lawyers, notaries public, IT people, bloggers), conservative intellectuals, various artists who depend on state grants and NGO activists – in other words, a combination between Nicuşor Dan’s voters and Dan Puric’s admirers. Most likely they will be able to mobilize the migrant workers and certain segments of the urban subproletariat through a populist discourse that combines anti-state with a nationalist and anti-minority rhetoric (Roma, gay, etc.). The previous anti-communist and anti-corruption discourse will be gradually replaced by one centered on family, anti-abortion and normality. The only thing that will stay the same will be the aspiration towards the West and Western civilization. Until now, on the other side of the spectrum, the SDP has been totally caught in the anti-Băsescu power struggle, remaining impenetrable not only to the structural mutations of the Romanian society, but even to pressures for change coming from within, from the younger generation. This, alongside its alliance with the NLP, was the main reason that held the party together. Paradoxically, the success of Băsescu’s suspension might open the way for an intensification of the internal contradictions that have been building up in both SDP and SLU, especially in the context of the recent inter-party migrations. Besides, the SDP will have to resist the pressure coming form below, from certain very powerful mayors, extremely adept at making populist discourses, like the fascist Cherecheş from Baia Mare, for whom Băsescu’s impeachment wasn’t a political priority (but rather, as we are left to understand, the extermination of Romas from his city). Therefore, it seems that the present leaders of the SLU, Mr. Ponta and Mr. Antonescu, will exhaust their entire political capital in their fight against Băsescu and will not be the ones to lead the party, or the alliance, in the post-Băsescu era. In the absence of any receptiveness towards an authentic social movement and an authentic left message, this will be dominated by Mazăre’s tomfoolery, by Chereceş’s racism and by Voicu’s overblown figure. Instead of letting him finish his regular term, Băsescu’s dismissal in a referendum would only hasten a clear outlining of these processes and would finally put an end to the historical sequence set in motion by NSF’s break up. The Future Today – this could be the wager made with Băsescu’s removal from office – even if, as in 1992, this future appears to be even more frightening than the present. I wrote about this at length here: http://www.criticatac.ro/11683/care-e-problema-cu-psd-ul/. As in this last text, I feel the need to clarify a certain point: the fact that a great many of the local capitalists gathered around SDP for historical reasons doesn’t mean that all local capitalists did the same, or that the other parties don’t have their own mandarins. What I have in mind here is a certain disposition rather than a clearly defined category, which in practice cannot really exist. I am indebted to Adrian Deoancă for allowing me to formulate this point of view.